La iglesia catolica dice que la palabra Dios significa luz, la luz del dia. La luz del dia que se opone a la penumbra de la noche, a la oscuridad, al pecado. Di=dia=Dios. El unico astro que hace la luz del dia es el SOL. El sol es Dios, es la luz, es el dia y, esta en el cielo, en la tierra y en todo lugar. El sol ha sido visto como Dios por las grandes culturas como la Persa y Azteca. La religion catolica es de origen Arabe y por eso se define como: Di=dia=Dios=Sol. Las culturas de este continente tenian razon: El sol es Dios, o Dios es el sol. The Catholic church says that the word GOD mean light, the sunlight. God is the sunlight opposed to the darkness of the night, catholics say. Di=day=God. The only which makes the daylight is the SUN. The Sun is in the sky, on earth and anywhere. 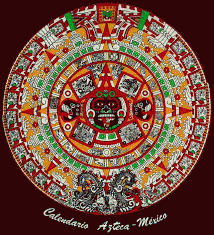 The sun has been seen like God by the greatest civilisations like Persan & Aztec. The catholicism has a muslim origin, that's why: light=God=Sun. The First Nations of this continent were right: God is the sun, or the Sun is God.